It’s pretty much accepted that if you want to expand your business outside your domestic market, you have to localise your product. Whilst we tend to focus heavily on language, let’s not forget that localisation also takes in cultural adaptation, user acceptance, and a multitude of other factors that go beyond simple translation. And whilst we’re looking beyond the surface, let’s talk about customer experience. Customer experience (CX) is what happens when you interact with the people who buy your stuff. That’s a pretty broad definition, but it’s quite useful when you look at it through a localisation lens. It doesn’t matter whether you’re targeting consumers or businesses — we all have a customer, whoever and whatever they may be. So if you’re a fintech firm busily disrupting the commercial finance market, or a cloud software company providing enterprise-wide data analytics, CX should be just as important to you as it is to a high-street retailer. Customer experience is intrinsically linked to user acquisition, retention, support costs and profitability. Therefore, it’s important. Especially important to a company that wants to scale quickly. But how does this fit in with localisation? It’s simple really. We all know that we need to localise for the different markets we sell in. But where some businesses come unstuck is that they lose sight of why their doing it, and how they can optimise the customer experience along the way. It’s important to remember that localisation isn’t just a tick-box action to be taken in preparation for launch. Let me give you an example. You’ve probably bought a generic electrical item at some point that came with a slip of wafer-thin printed instructions. These were probably really badly translated from the language of the manufacturing country, and provided only the most basic details of how to get your product up and running. When the product failed, you went online for help, but found only a website in a language you couldn’t understand. You emailed, but got no response. Now think about when you bought another similar product — did you seek out the original brand? Did you buy from the same source? Did you reach out to the company for pre-sales information? Because the original customer experience was poor. The product wasn’t effectively tuned to your locality, the instructions you received were minimal, and the overall experience was one of a cheap commodity. No warm and fuzzy feeling was felt. No brand loyalty was nurtured. Now think of your own product. It’s probably very different, but the principle still applies. Is your website fully localised for the countries and primary languages you’re targeting? Are your downloadable datasheets and marketing information available in the language of the person you expect to buy from you? Does your brand voice come across as well as it does in your home market, or has it been lost in a basic translation? Have you switched-off a large proportion of your potential user base by using an inappropriate image on your landing page? And this is all before your potential buyer has committed to anything, and assumes that the product or service is suitably localised too. CX really comes into its own at the point the customer is acquired. A software product can’t be launched in another market if the user-interface isn’t available in-language, and a customer won’t be retained if they find errors like dialogue boxes with overlapping text and out-of-context instructions. At this stage there’s also the potential to minimise set-up and support costs by providing effectively localised support material. Self-service help costs a lot less than manning a multilingual support desk and fielding written and spoken queries in numerous languages. Don’t cut corners when it comes to localising knowledgebase and help articles — providing comprehensive information, translated with context and skill, can significantly reduce your support costs and enhance the overall ROI of your localisation effort. Today’s SaaS subscription models, and many other B2B propositions rely on ongoing customer satisfaction to deliver profitability. Therefore, a customer that is acquired and supported effectively in their own language is far more likely to be retained and deliver more value into your business in the long term. In short, it’s all about the customer experience. 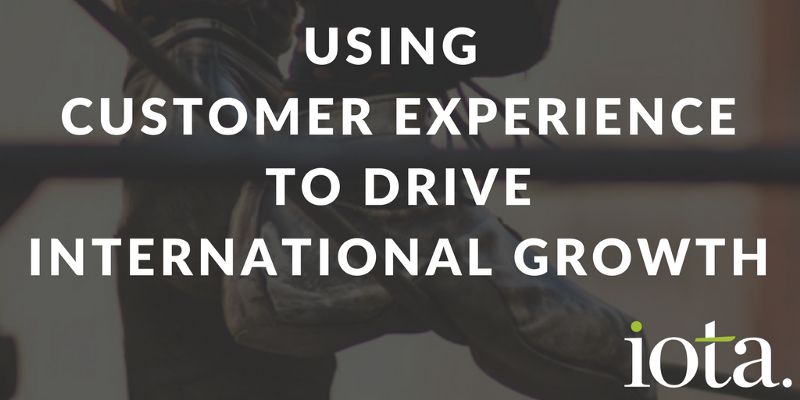 If you’re wondering whether your localisation efforts are delivering the best customer experience possible, get in touch and I’ll be happy to look at it with you.